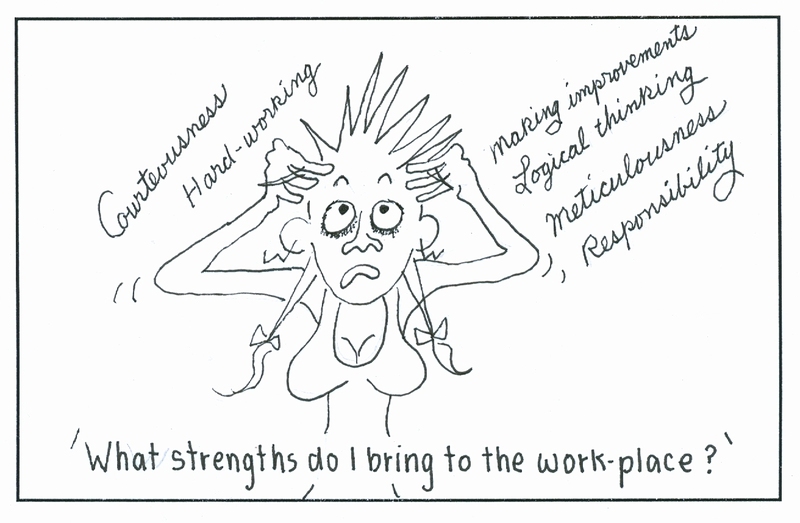 What strengths do I bring to the workplace? It’s often tempting to just roll your eyes and rattle off the typical list of strong points: punctual, hard-working, outgoing, etc., etc. And yet, we’ve all met or heard of individuals who fail to challenge themselves in this way. The middle-aged architect who drags himself to work, distances himself from colleagues, and tallies the days until retirement. The educated homemaker who sends her children off to college then wonders, Okay, what now? The college senior overly-anxious about what career path to pursue and how to make the best impression on an employer. Maybe any one of these people is you. The Career Within You is a simple guide to matching your personality traits, perceived strengths, and fields of interest with specific careers. It also provides important tips on job-hunting, resume-writing, networking, and interviewing. So whether you are dissatisfied with a job that’s become mundane or unbearable, unemployed, not sure how to sell yourself during job interviews, or even enamored with your current career, it’s always essential to recognize who you are as both a worker and a person. Let The Career Within You help you do that! So I’ll do an original blog in this space next week. Ingrid Stabb and I are busy with our new book this month and next. It’s going well. Some events coming up are February 8 on TV (“View From the Bay”), February 9 at Kepler’s Books in Menlo Park, Feb. 21 at the CA Writer’s Club in the Oakland Library, a pod cast or two, and lots of reviews – and they’re all good. So we’re happy. I just put up two videos of me and my cartoons on You Tube: “The Happy Introvert” is http://bit.ly/HapInt/ “The Creative Enneagram” is http://bit.ly/cre9gm/ There’s also another very short one there and on the HarperCollins website. My most popular page on wagele.com these days is the Famous People page, followed by the introvert pages and Beethoven pages. You can hear a chapter (the 7-Adventurer) right on the site, too. You can also hear my Enneagram piano variations. All this exposure of myself is beginning to make me nervous. Eek. My Psychology Today blog is about the subtlety of telling two Enneagram points apart that are hard to tell apart, the Adventurer and the Achiever. 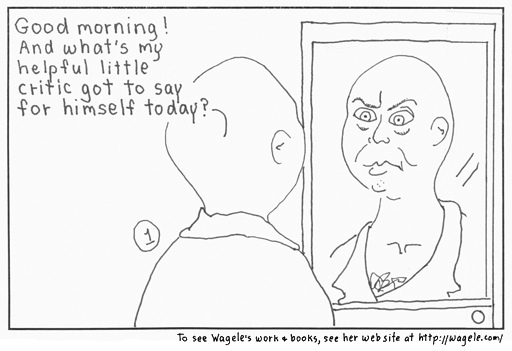 Here’s one of my favorite cartoons from the chapter on Perfectionists in THE CAREER WITHIN YOU. It doesn’t fit this blog particularly. I just like it. Hey! That’s the best reason to use it of all!